Here's what Laura said: It was easy to put up! 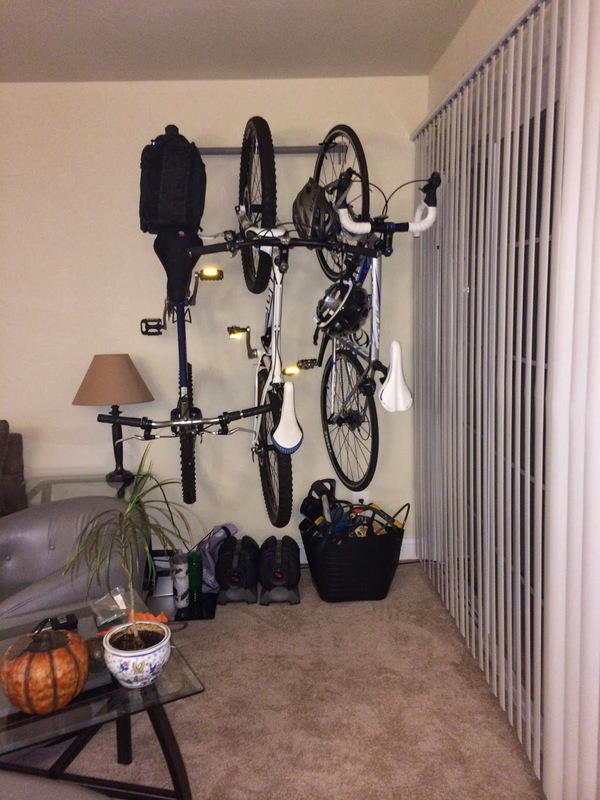 (just need a level, studs and a drill) and it gets my bikes off the ground! Perfect for cramped apartment or garage. Only downside is will need to paint wall or use magic eraser to take wheel marks off it when I move the bikes.